Did you know, the first official Google office was in a garage that Larry and Sergey rented from a friend? 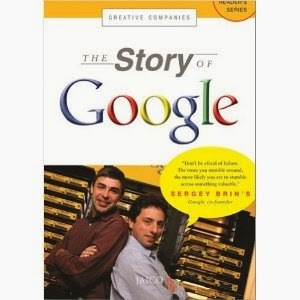 Larry Page and Sergey Brin met on the Stanford University campus in 1995. Soon they began working together on a project to download the entire World Wide Web and figure out a way to search it using links, as a possible doctoral thesis. Many budget and design issues later, Google became an officially incorporated company. We bring you the story about the origins, leaders, growth and products of Google, the Internet company that was founded in 1998 and is today the world's favorite online search engine. Jaico's creative companies series explores how today's great companies operate and inspires young readers to become the entrepreneurs and businessmen of tomorrow.